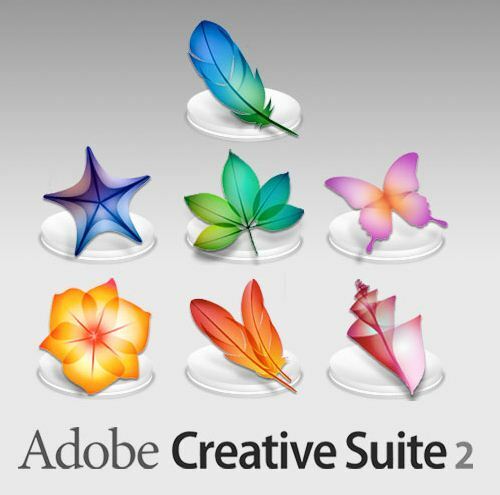 Adobe has screwed up big time by releasing the Adobe Creative Suite 2 (Adobe CS2) for free. They only wanted to help their licensed users by providing them with copies of the software that can be installed and activated without the need of the Adobe activation servers. The main reason behind the goof up was their decision to shut down the activation servers for the Adobe CS2 range of products. The intention behind was actually noble. They only wanted to help their licensed users of the products. So, any user who had a license of the product and had an account with Adobe.com, could go to their link. The link is down now (I just checked out of curiosity). The link seems to have been brought down due to the excessive downloads by people around the world. It doesn’t seem to be a server breakdown issues due to heavy download traffic. It looks like the download link was removed deliberately to prevent unauthorized downloads of the software suite. Each download link on the download page was accompanied with an activation key for the respective product. So, any user who had an account with Adobe.com could go to the link and download the software for free. This could have been a PR victory for Adobe and helped stop piracy of latest versions of the products. Had they continued to allow people to download the software suite (that is 4 versions older than the latest versions), it might have helped reduce piracy of the products under the Adobe CS6. 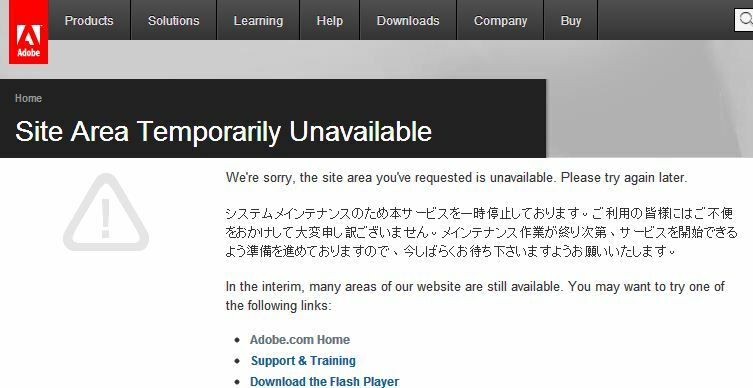 Now, since they have already removed the download links, and the news has spread throughout the web, this has proved to be a major lost opportunity for Adobe to win over users from the other side of law. They lost the opportunity to give the taste of a genuine software to all those users who rely on pirated software. The sad part is, they will not be able to contain the spread of the software on the web now. The software are already easily available for direct download on major news websites. Websites such as Lifehacker, Forbes.com, CNet.com, Gizmodo.com carry this news. Afterall, it is only rarely that such popular software are released for free by the original developer of the software. There are many websites and forums that provide links for direct downloads for the software. One of them is SlickDeals.net. This news had gone viral and is spreading throughout the web sphere like wild fire. The importance of the news is evident from the fact that major websites like Forbes.com and Cnet.com took it up and published it as highlights. This was followed by the news of Adobe’s backtracking from their decision. This is clearly taking the shape of a PR failure for Adobe. Can adobe do anything now to stop the spread of this news now? I don’t think so. The only thing they can do now is to take corrective measure. The corrective measure can be to announce on their website and throughout the electronic media that they are releasing the software for anyone and everyone for free. They could also provide the links to the software again on their site. Although this can help reduce the impact of the negative publicity they are getting, this incident will be remembered by geeks and business people for a long time to come.